For anyone who loves sushi, as I do, we’ve got it good here. Nowhere else in the United States — not New York, not San Francisco, nowhere — comes even remotely close to the quality of sushi widely available in Southern California. And while Los Angeles has always been the sushi capital of America, Orange County is right up there. To be clear: I’m not talking about sushi rolls, which are largely a California invention and can be enjoyable. I’m talking about authentic Japanese nigiri sushi and sashimi. I’m talking about omakase. 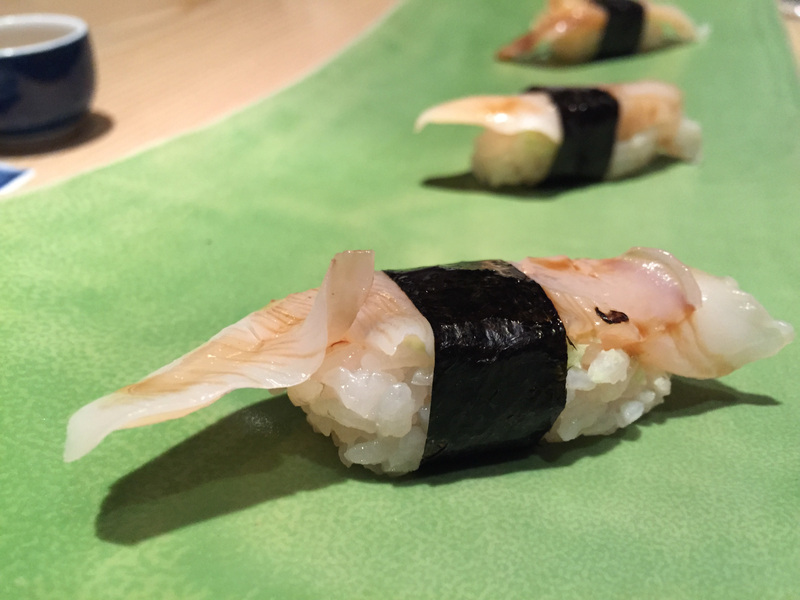 For the past two and a half years, I have dined at dozens of sushi restaurants from one end of the county to the other, searching for the best omakase. One by one my old favorites in L.A. dropped off my Top 10 list to make way for even better — and usually far more affordable — sushi bars in O.C. The most important consideration for me is uncompromising freshness. Raw fish tastes dramatically different 12 hours out of the sea than it does at 24 hours, or 48, or heaven forbid longer. With each passing minute the flavors change, especially in a fish with high oil content like mackerel or shad. That’s why most omakase is served one piece at a time, and you should eat it within 30 seconds of being served. It’s a matter of taste — but also respect. And that brings me to the second most important consideration: timing. The pace of the meal can make or break the experience. The pace should be leisurely, neither rushed nor slow. Respect is a two-way street, after all. 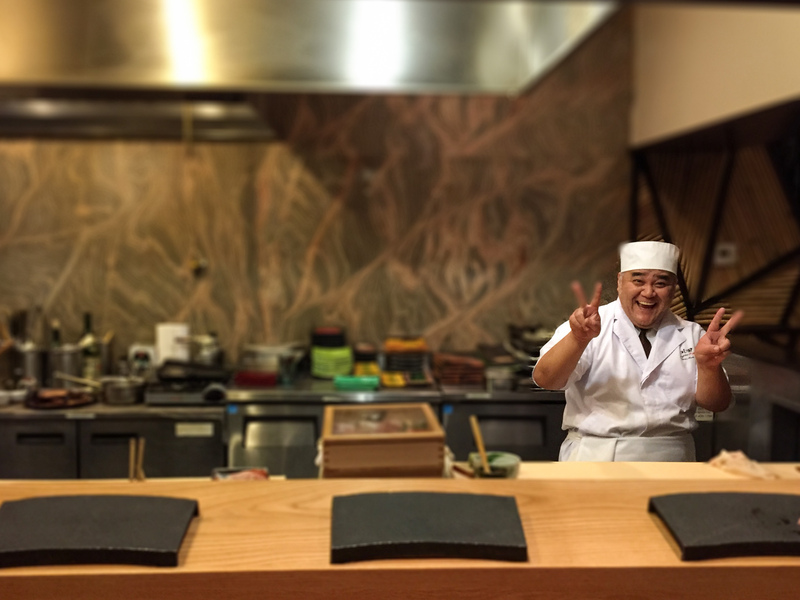 To sit and watch the finest itamae (chefs) at work is at once relaxing and exciting. The focus. The attention to detail. The nuance of each cut. They way one fish is sliced a certain way yet another is carved in an entirely different direction. The way warm rice is caressed and formed into an elongated disk with the palm of one hand and the index finger of the other. The order in which the fish are served, making sense of varying textures, pungencies and delicacies. How some fish are brushed with soy sauce while others are sprinkled with salt or lemon… I trust you, I am in your hands. 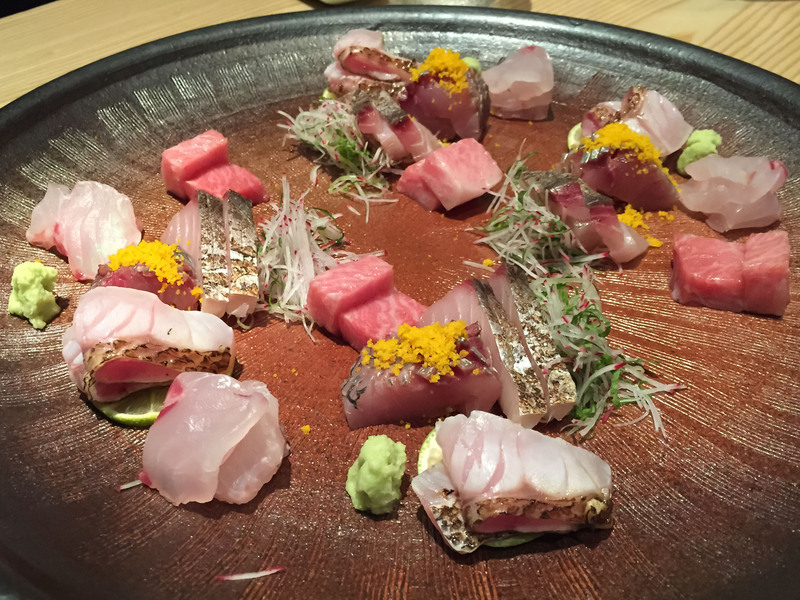 With all this in mind, here are my favorite places in Southern California for omakase. The numerical scores are based on a scale of 1 to 10. Overview: Sushi Tsujita opened last year in heart of L.A.’s Little Osaka district on Sawtelle, featuring Edomae, or Tokyo style, omakase sushi. The hospitality is refined to a level far beyond what most people might expect unless they’ve eaten at the most highly acclaimed sushi restaurants in Japan, where service and grace are considered as important as the quality of the fish. They offer a choice of omakase menus, but no à la carte. Bottom line: This is destination sushi. Extraordinary in every detail. Overview: This fast-paced sushi bar caters to both nigiri purists and fans of California rolls and tempura. Far more people come here for the poke rolls and tempura lobster rolls than for the omakase, but the balance seems to be shifting. Bottom line: What this place lacks in grace, they more than make up for with variety and quality — and the omakase an incredible bargain. Overview: Open less than a year, Q was the first restaurant in Southern California to bring true Japanese fine-dining hospitality and grace to the sushi scene. 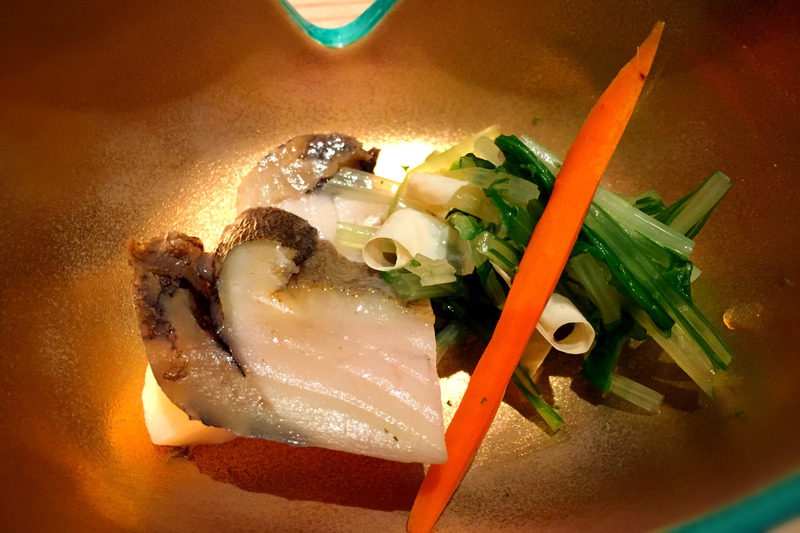 The menu focuses exclusively on omakase. No rolls. No à la carte. Bottom line: Q provides the most graceful, elegant, and utterly lovely sushi experience in California. If only the variety here matched that of Shunka, Tsujita or Ohshima. Overview: Somewhat hidden and intimate, Ikko posts a sign outside its door warning customers that the chefs do not serve American-style rolls. 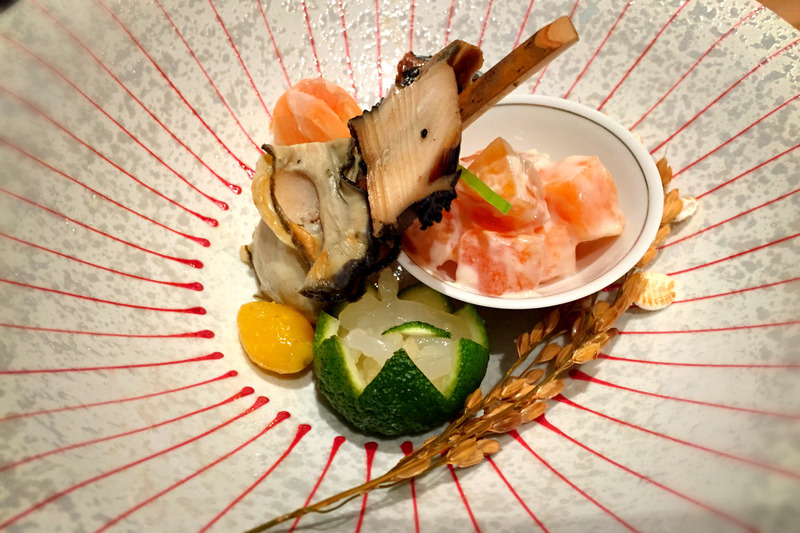 But they do offer a variety of authentic Japanese cooked dishes in addition to raw fish. Bottom line: Ikka offers outstanding quality and variety. Although pricy, the intimacy and attention to detail are hard to beat. Overview: The decor at Noguchi is beautifully understated and minimal. The menu ranges from spicy tuna rolls to fried calamari and chicken kara agi and also includes several choices for omakase based on which chef is actually preparing it; you pay more if the head chef makes it. Bottom line: Excellent, and huge portions for the price. The first course of sashimi is almost a full meal in itself. Overview: The sushi counter is reserved exclusively for omakase, whereas tables in the dining room are offered a broader menu that includes a variety of cooked fare and California-style rolls. Soy sauce is discouraged at the counter. The staff is friendly and doting but nowhere near the level of grace as Q or Tsujita. Bottom line: High quality and a great bargain. A nicely balanced experience. Overview: Reservations here are extremely difficult to come by, and the counter is strictly omakase. The hostess keeps a very tight reign on the dining room and is not shy about giving preferential treatment to regulars. “Have you been here before,” she asks over the phone, to which I say, “No.” “I’m sorry, then, we’re full tonight,” she says. Once in, however, service is doting and quite charming. Regular guests even bring gifts for the chef. Bottom line: Pricy but outstanding all around, except for the raw octopus, which was so chewy I had to decide whether to swallow it whole or spit it out. I chose to swallow and almost choked to death. My bad. I fear I won’t be allowed back in. Overview: What this place — opened last year by the creator of Sushi Roku — does better than anyone else is truly phenomenal “new-style carpaccio,” such as snapper with chili sauce and leeks, or halibut with pink peppercorn and yuzu, so make sure to ask for this in the omakase. Bottom line: The fish selection is extremely basic, but when you add the new-style carpaccio/sashimi to the mix, the omakase here becomes immensely enjoyable. This article originally appeared in the Orange County Register. To view more of my work for the Register, check out the archives. I also invite you to follow me and join the conversation on Facebook, Instagram and Twitter.